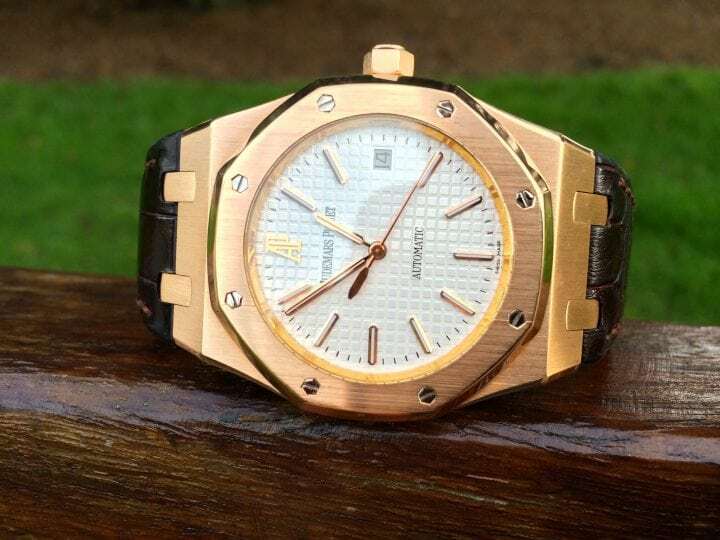 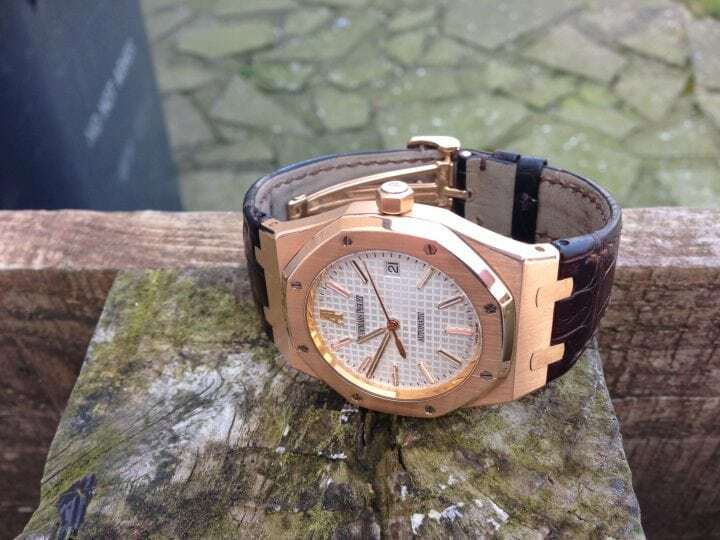 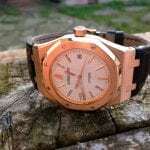 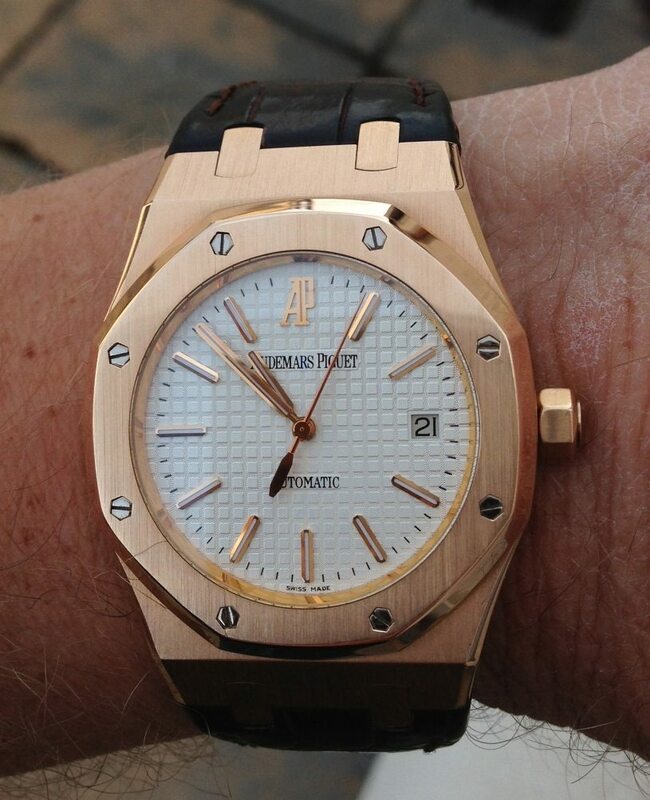 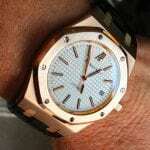 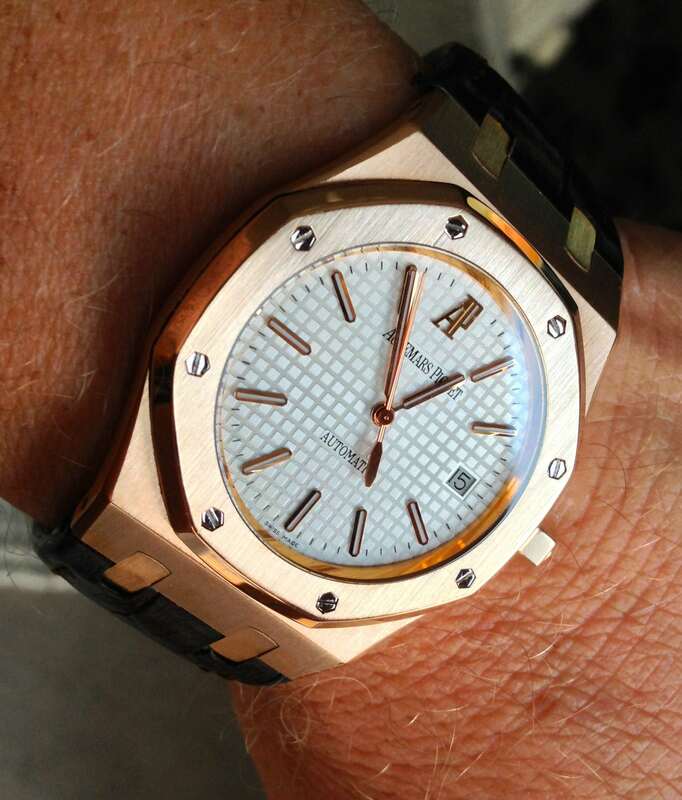 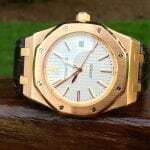 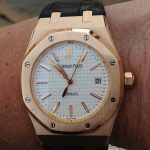 This awesome AP Royal Oak with an 18ct solid rose gold 39mm case, , White ‘Tapesserie‘ dial,and gold baton hour markers. 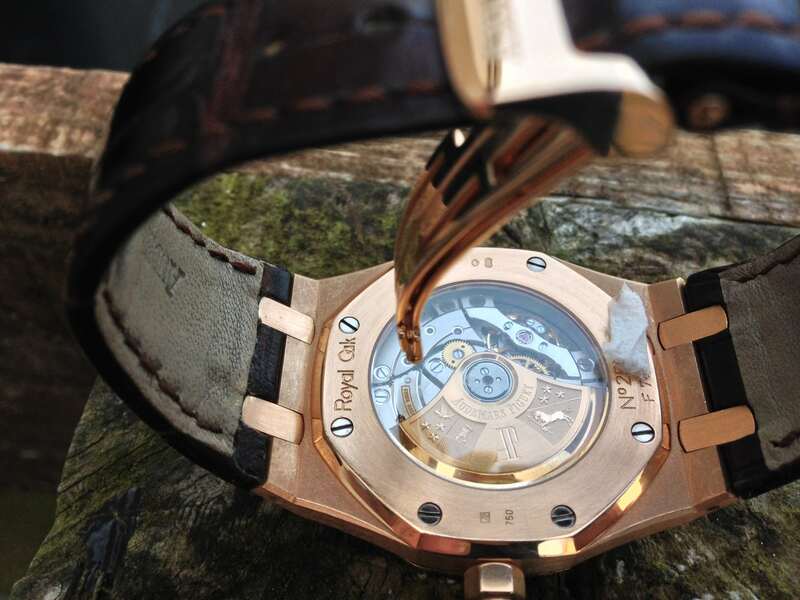 Automatic movement.The date is displayed at the 3 position and also has the sapphire crystal see through case back to view the beautiful AP movement in action. 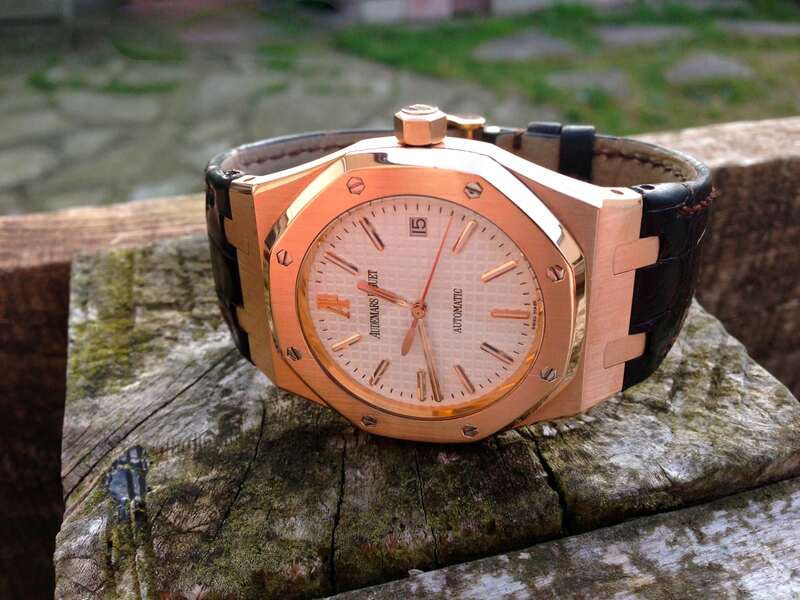 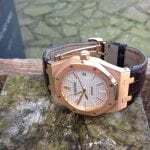 The watch is Water-resistant to 50m. 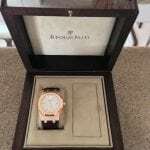 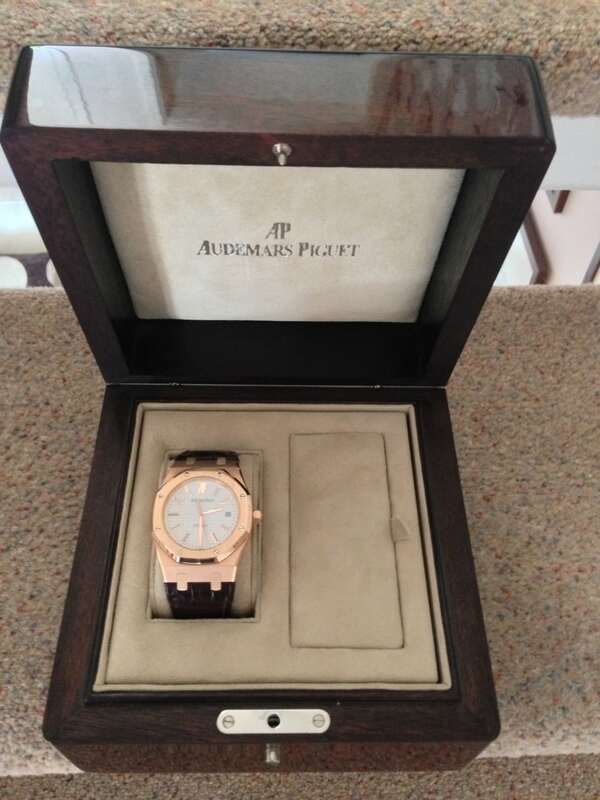 comes with box only.2008 CONFIRMED BY AP LONDON.